Masala Papad Chaat Recipe is a quick and easy as well as tasty Indian starter Recipe. 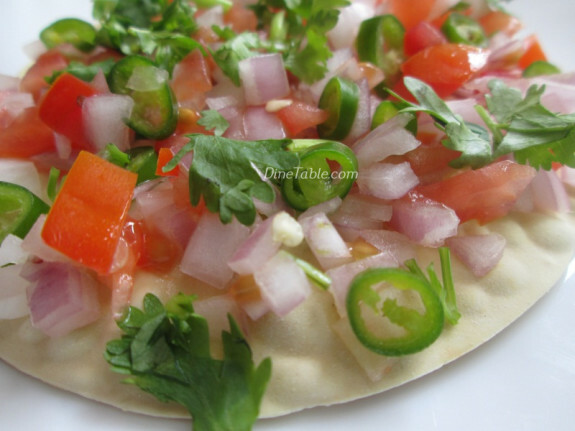 Enjoy the taste of fresh vegetables, tangy lemon and spicy chilly powder with the crunchy papad at the same time. It is a popular starter in an Indian menu. It can be served as an evening snack too. Everyone enjoys and surely demand more for this dish. 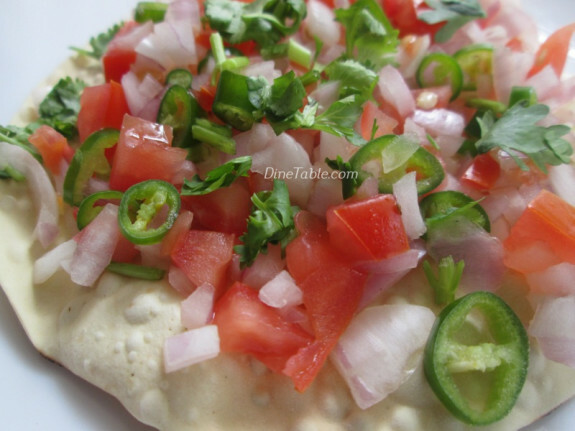 You can make different combinations of chaat as your family prefers. 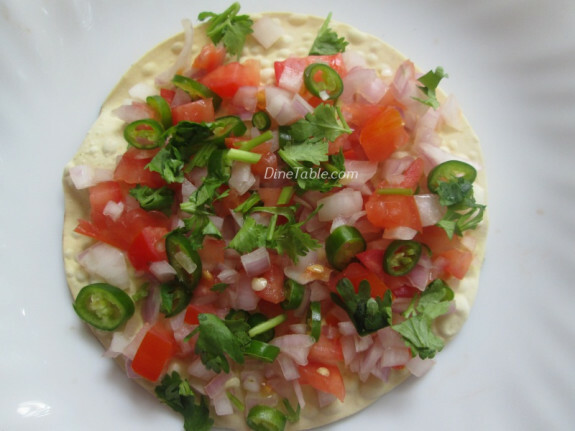 Hope you all try this quick and easy Masala Papad Chaat Recipe. Try and enjoy. Click here for other Tasty Starter Recipes. Microwave the papad till done about 30 seconds for both sides. 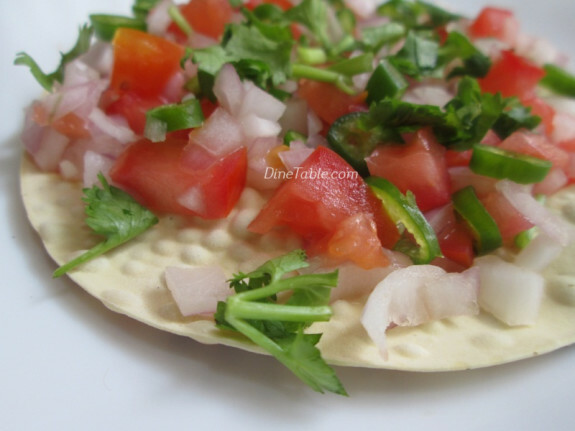 Combine the chopped onion, tomatoes, green chillies, coriander leaves, lemon juice. Add chaat masala per taste. Spread the mixture liberally on the papad at the time of serving. 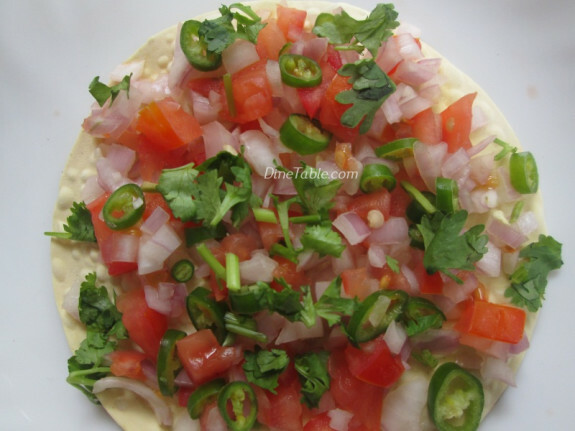 Tasty Masala Papad Chaat is ready.